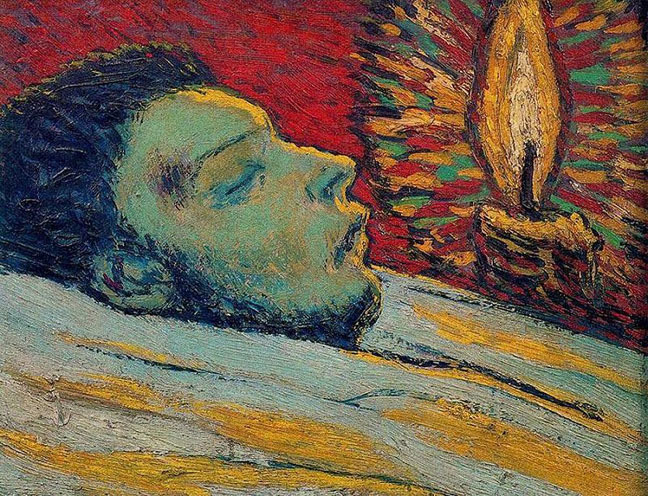 Paintings about death are tricky things. The artist has no free pass, no solid information to go on. Loss is not unique to the artist. We all have an equal share. The painter has only composition, color and content but sometimes in a painting there can be something a little more. Confronting mortality can certainly provide that extra juice. Remember Picasso's The Death of Casagemas. I saw something of that extraordinary ilk when I visited the Oregon Jewish Museum and Center for Holocaust Education and found myself in front of a morose masterpiece painted by R.B. 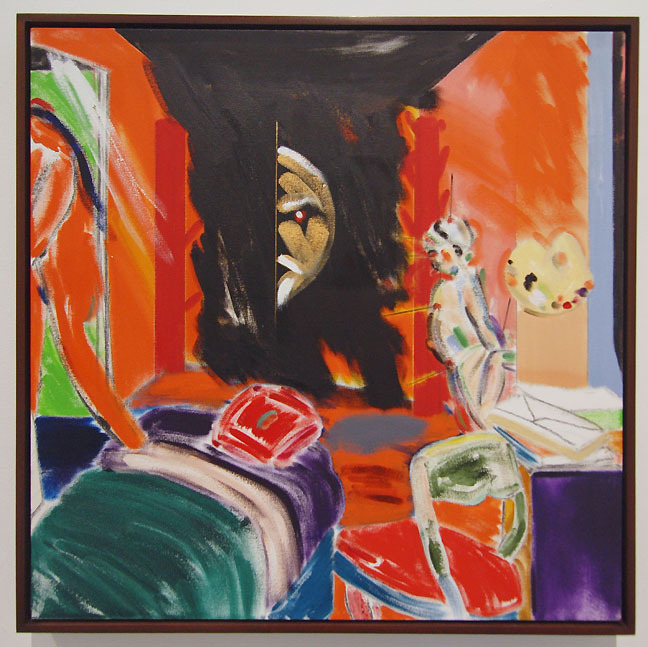 Kitaj, aptly titled The Studio Where I Died. This show brings together over a dozen works that span the artist's career with a special suite of late work in the back rooms. Many of these gems were painted in Los Angeles in the 2000â€™s. In these paintings we see a colorful tragedy, a piquant blend of West Coast light and European winter. Kitaj was born in the US but trained as an artist and lived mostly in England where he maintained a life long friendship with the painter David Hockney. 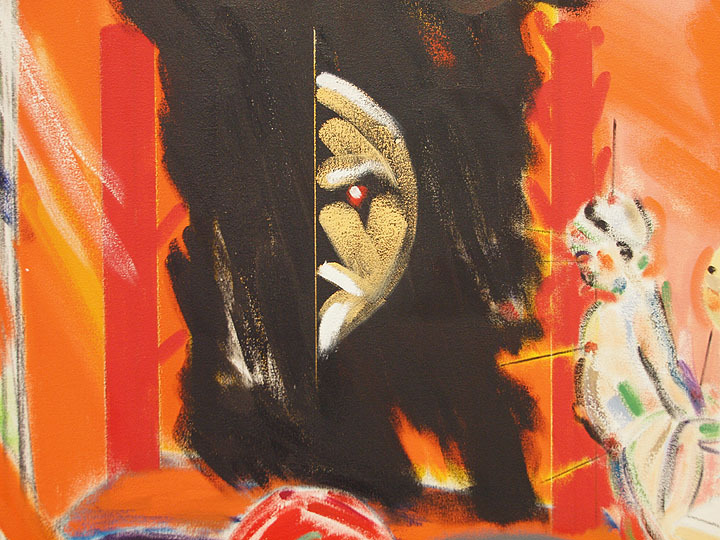 It must have been amazing times for an artist but it appears he eventually grew sour with things-as-they-are and after he lost his wife Sandra Fisher to an aneurism suddenly in 1994, Kitaj picked up and moved to Los Angeles. The Studio Where I Died was painted there in 2005 during this, the artistâ€™s late period peak. It is a truly devastating painting, one whose goalposts of bright red and blackened heart left me haunted. 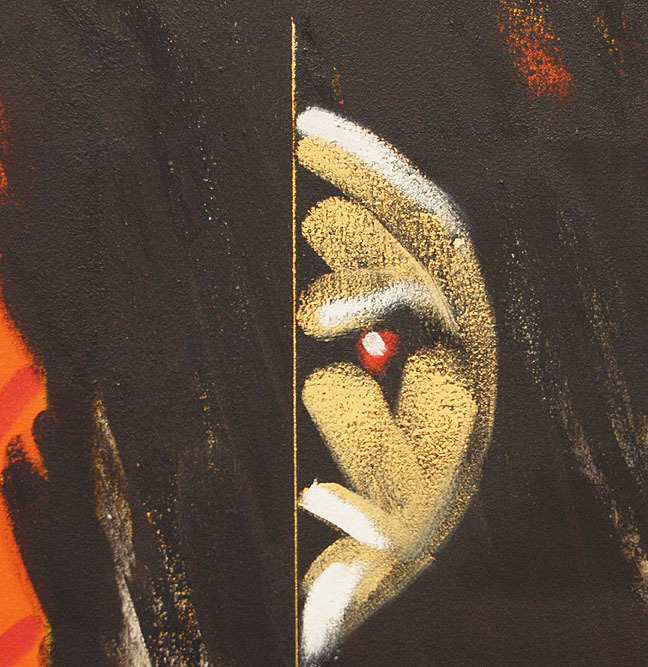 The paintingâ€™s impact strengthened for days. I see here a painting drenched in death, wedged between the loss of his wife and the artistâ€™s suicide in 2007. We see a female stand-in leaving the scene to the left. We cannot see where she goes. Let me fairly note that not all the paintings in this exhibition are about loss or death. There are many high notes. The act of making is essentially optimistic and Kitaj strikes me as an optimist at heart. That optimism, however, is gone by the time we get to The Studio Where I Died. 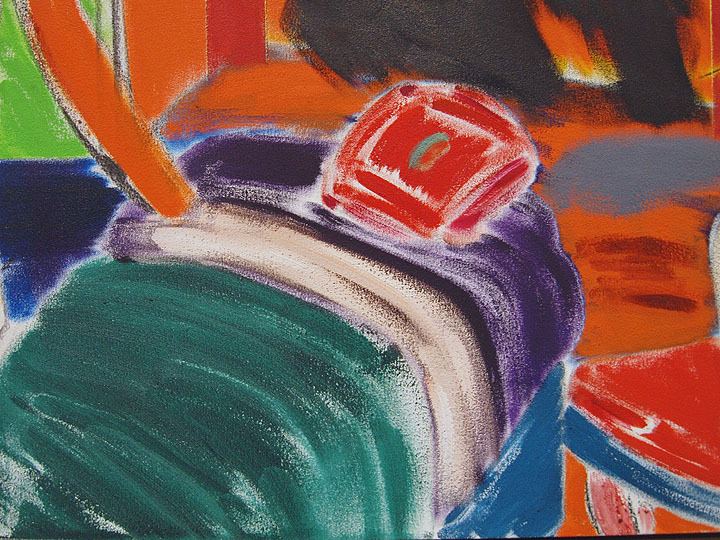 He employs bright color but it's the fleshy fare, pure pathos. There is a throw pillow that just slays me every time. It is lightly painted with powerful pigments. It just sits there with gloom all around, pointless. No comfort from that comforter, not when there is such intimate loss, a death in the heart of hearts. Then we have this face coming through the black. It is off-putting, with a "look at me, don't look at me" vibe. It is half hidden in the blackness. Perfect. Here we confront the archetypal monster in the closet, a boogey-man created with raw emotion and strategic painterly skill. Again, this is all the artist has to offer. Nobody knows the whole face. Nobody knows what is through the doorway. But the hard won stare of Kitaj, that gut punched optimist, his lifetime of rich artistic experience and his talent, mix that up with unrelenting tragedy and you'll end up with a great death painting well worth seeing. Go see it now while you can because it doesn't get out often and it is one to see.